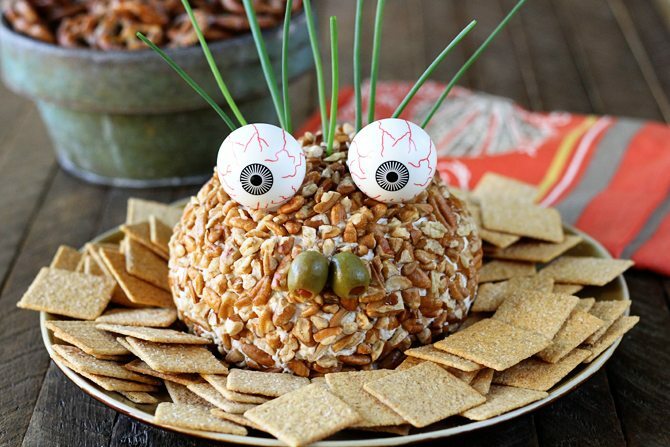 This is the perfect snack/appetizer to add to your Halloween party spread! 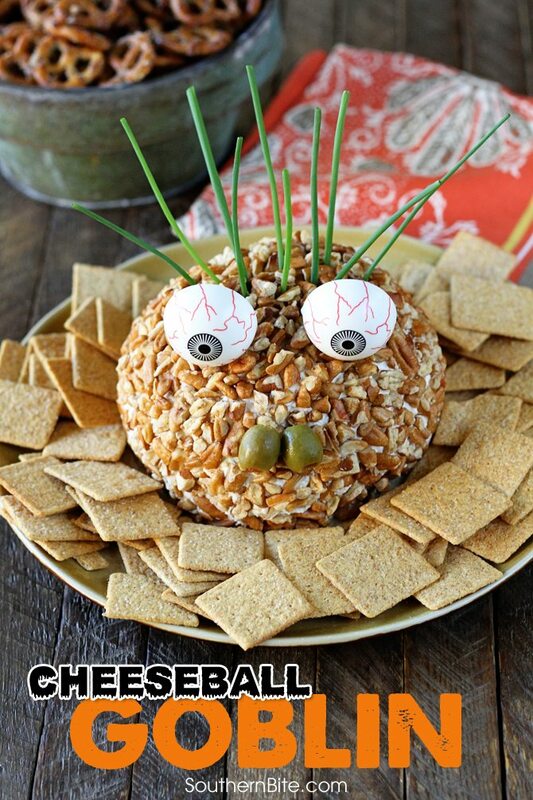 Turn Stacey’s hugely popular Ranch Chicken Cheese Ball into this fun and festive Cheese Ball Goblin! I’m not sure why I don’t make more cheese balls at home. I love them when we have them at parties but I just overlook them when I’m cooking a home or hosting my own party! I need to fix that! Cheese balls are super tasty and a must have at southern parites! This little cheese ball is actually a Cheese Ball Goblin! He’s ready for Halloween and ready for you to serve him up with a few crackers! This cheese ball has tons of great flavor and is a family favorite. My mom has been making this for as long as I can remember. It’s one of those things that everyone asks for us to bring to family events. If you’ve not tried it, this is your opportunity. And turning it into a spooky goblin is super easy! Stacey blog at SouthernBite.com – Feeding people makes him happy! It’s just about as plain and simple as that. There are few things in this world that he delights more in than his family and friends gathered around his table enjoying a meal!